What if someone fights, against the odds, against all their surrounding opinions and narratives to achieve the life they want, then realise it’s not what they need? 13 years after Dizzee Rascal’s debut album was released Debris remembers how it gave her permission to re-define success against the odds and become a poet – but what has she forgotten along the way? 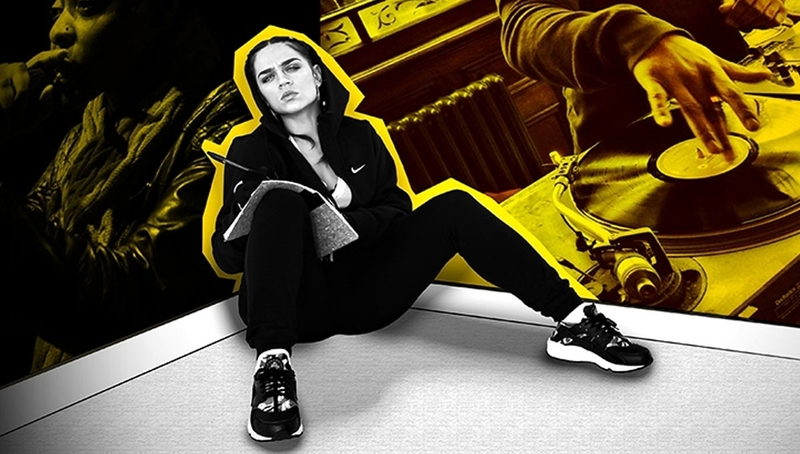 Debris fuses poetry, grime, movement and impressive MC-ing to tell a story inspired by the flows of Dizzee Rascal’s genre defining album, Boy in da Corner. Step into a pirate radio station, a teenage bedroom and a house party to see the story of an outsider battling to find their voice, unfolding in-between the smoke, strobe and decks. At secondary school 2002 – 2008 Debris was educated through the evolution of grime and found poetry in the mouths of the testosterone and teenagers around her. Nurtured by the Roundhouse, Debris was then followed by Channel 4 for two years, published by organisations such as, Louis Vuitton, Oxford University and BBC Radio 4. Supported by Arts Council England, Nottingham Playhouse, Roundhouse and Apples and Snakes.